Place part of crumbs in bottom of pan and add cheese mixture. Sprinkle top with remaining crumbs and chill thoroughly. When firm, unmold. Gingerbread 1/2 cup sugar, 1 egg, 3 tbsps. 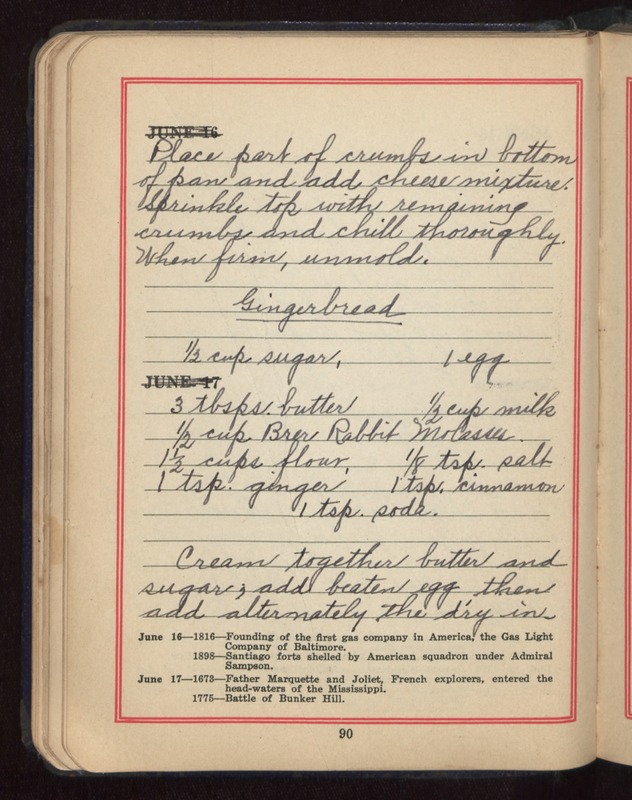 butter, 1/2 cup milk, 1/2 cup Brer Rabbit Molasses, 1 1/2 cups flour, 1/8 tsp. salt, 1 tsp. ginger, 1 tsp. cinnamon, 1 tsp. soda. Cream together butter and sugar, add beaten egg then add alternately the dry in.